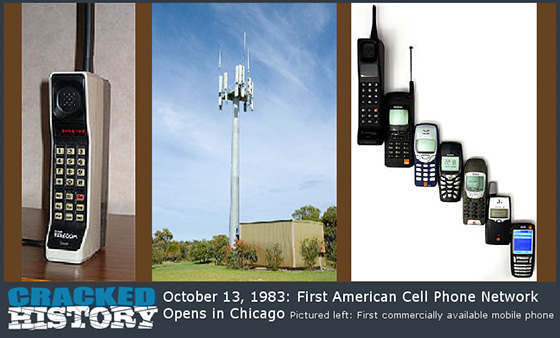 On October 13, 1983, the first publicly available cellular telephone network was initiated in Chicago, IL by Ameritech Mobile Communications. The Guinness Records claims "the Most durable mobile phone number (cellular phone number) David Contorno, of Lemont, Illinois, has owned and used the same mobile telephone number since 2 August 1985. His first mobile phone was an Ameritech AC140 and his carrier has been Ameritech Mobile Communications ever since." Among other things, this is also International Day for Failure. Man orders pizza to check on Florida grandma after Hurricane Matthew. Some people born on October 13 who said some interesting things: Charlotte Bunch, Paul Simon, Rainbow George Weiss, Sol Stein, Margaret Thatcher, Lenny Bruce, and Minna Antrim. 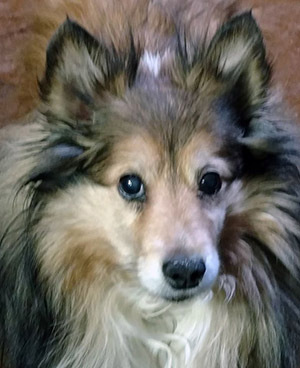 Today's issue is both late and abbreviated because of having to deal with one of our Shetland sheepdogs, Riley, who had a tumor removed yesterday. Cancer is a terrible scourge in dogs; 25% of all dogs contract cancer during their lives, and in some breeds, the rate is as high as 50%. Cancer is responsible for 50% of the deaths of all dogs over the age of ten. Riley will be 13 in February. Two of his relatives succumbed to the disease in the past ten years. All we can do is keep our fingers crossed until we get the pathology report back, and hope the surgery got all of it.